Before you drop everything and escape to the outdoors you’re going to need to refuel. Take a moment to brew delectable tea in your cinnamon Anytime Laura cup. Find serenity with this playful paper-like porcelain cup, before you envelop yourself in nature. Size: L: 8.0 cm - H: 9.6 cm - Vol: 0.20 L / 6.80 fl. oz. Thoughtful and beautiful design is an essential element to tea making. You want something that is aesthetically striking as well as being functional and of excellent quality. Cheap, disposable products don’t fit the brief as it doesn’t appeal to your eco friendly sensibilities. The Anytime Laura cup has that premium quality alongside glorious minimalist design that every visually inclined person searches for. Not only is the design simplistic and cool, it’s also playful. Haters of disposable one use paper cups will love that this cheeky cup is of the same style, but made of beautiful porcelain. Making your paper-like vessel one that will last a lifetime. 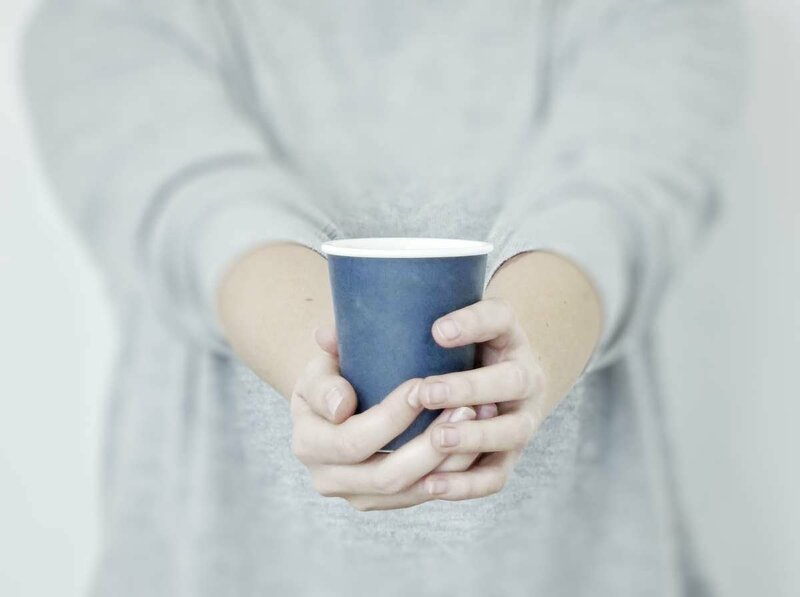 Encourage those moments of serenity for yourself by embracing this durable and calming midnight blue cup. Turn your tea drinking into a daily ritual by brewing perfect herbal tea in this completely instagrammable cup. 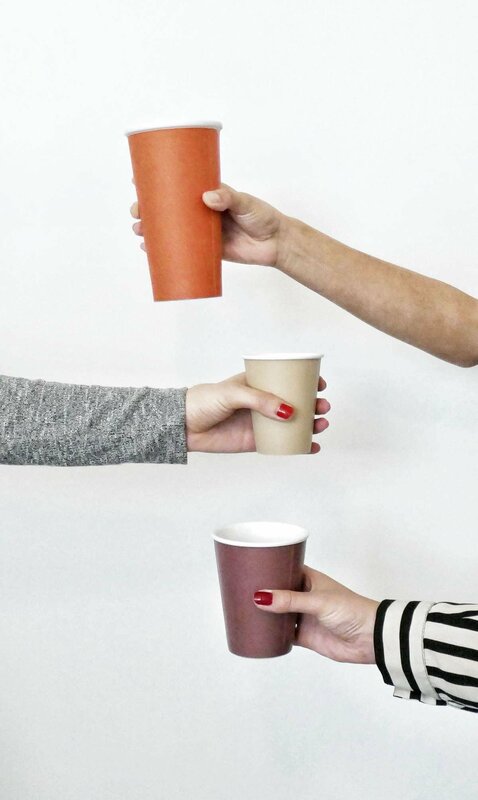 The Anytime Laura Cup has been finished with a textured cinnamon-coloured matte glaze. This gives it a modern look, feels wonderful in your hands, and makes a real statement. The lip of the cup and inside are finished in a smooth glossy texture which provides a textural contrast while keeping the inside easy to clean. The Anytime Laura fits 0.2L of liquid. This is on the smaller side of a standard cup. 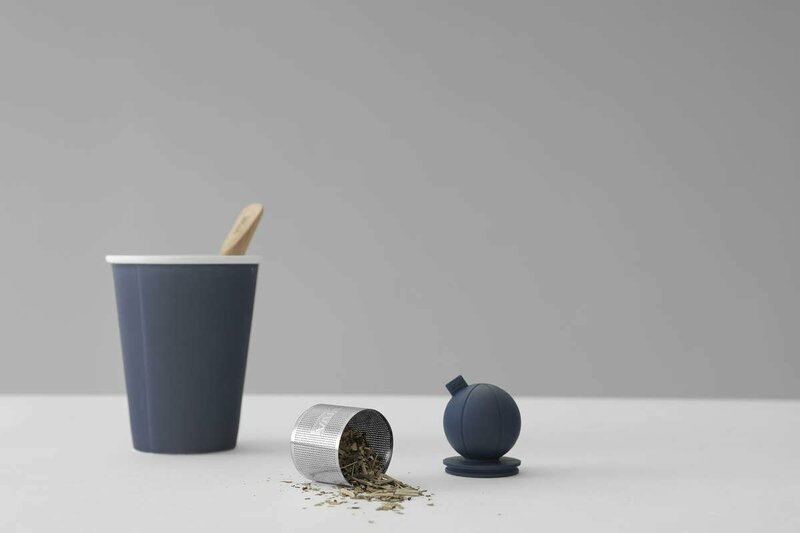 This cup is ideal for those looking to cut down on their caffeine consumption by drinking smaller cups of tea or coffee, or if you just prefer the feeling of a light, dainty cup. Our coloured porcelain products are all made from our premium Chromasolis porcelain that is 100% lead and cadmium free, and hand-finished by skilled artisans. When you select the best tea you want to be sure that nothing is compromised and especially not leaching harmful chemicals into your tea. Our porcelain has been developed with your health in mind so you can focus on enjoying your favourite beverage.